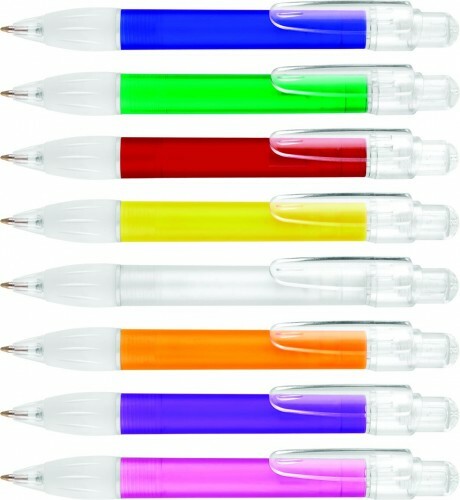 Jumbo frost ballpen at an amazing price. Colour range consists of eight standard frosted colours. 5 day express printing service available on this item at extra cost. Full colour printing is available on the clip - please contact us for details.